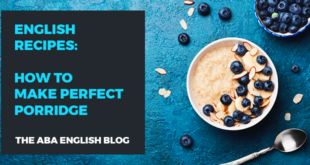 Without a doubt, irregular verbs are one of the most annoying aspects of English grammar. After learning the rules that allow you to form regular verbs (which are very simple in general! ), we discover that it does not end there. On the contrary! We have to memorize an infinite number of verbs that do not follow the general rules for the formation of the past tense and the past participle. So, what can we do? 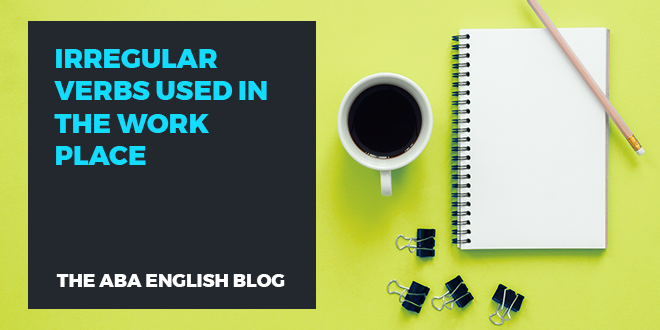 Take a look at the irregular verbs in English that are used at work with @abaenglish. In this case, all you have to do is be patient and memorize these verbal conjugations, beginning with those that seem to be the most important for daily use. Choose a dozen verbs to memorize every day. It is preferable to start with the verbs that remain unchanged in each time (present-past-participle) since they require less mental effort. It is also advisable to choose verbs with a similar sound, in order to memorize them more quickly. You can write them on post-it notes to stick on the refrigerator or at other key points in your home or office. For each verb you choose, write down at least three sentences. This will allow you to learn to use the verbs in context and to memorize them faster. Below, we present a list of irregular verbs that you can use at work. If you work in an office, then your daily routine can take place behind a desk. 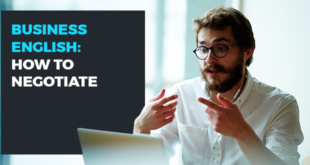 Between phone calls, the computer, and meetings with other staff members, here are some verbs that you can practice at work. My team leader asked me to lead the meeting tomorrow. This investment will cost the company £400,000. I have forgotten to fill out the document. I told the manager what we discussed yesterday. We met the top manager last month. I sent an email with the information you require. Have you read the company’s policy? I am going to show our project to the manager. Martha got a promotion for her hard work. We only deal with companies with good credit records. The deal fell through when another company made our client a better offer. The company is still paying the debt from when it was formed. The meeting seemed to be going well until Mark brought up the issue of pay raises. My proposal for the new market is unlikely to go through. Judy brought forward a good idea regarding the deal with the new client. I kept off the issue of holiday pay during the last meeting. I have run out of paper in my office. The asset management company took over the bank’s loans. I fell behind with all of my paperwork. These are just some of the many irregular English verbs you can use at work. 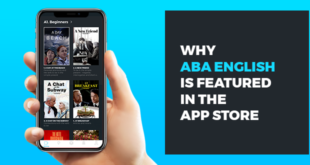 If you are thinking of improving your English, try the ABA English online course. We offer 144 free video lessons and the same number of short films that will help you learn English through a natural and innovative method. What are you waiting for?